I just came home from the Professional Learning Communities (PLC) at Work Institute in Hollywood, and I have never been so excited about being in education. The institute is put on by Solution Tree, and is headed by Richard and Becky DuFour along with Robert Eaker. The purpose of the institute was to show teachers and administrators how to improve student learning through the PLC model. The main focus was to design a school where teachers work together in collaborative teams focused on improving student learning. I know that is a very broad and inadequate definition of what I learned over the last three days, but it’s a starting point. I had been hearing of PLNs (Professional Learning Networks) on other blogs, so I had a general idea of what I was going to hear, but was I wrong. PLN’s and PLC’s are two different things. Professional Learning Communities (PLC’s) are teams of teachers within a school who meet to learn together on how make sure that every student is learning what needs to be learned. This is a totally different way of teaching than I had been used to for the last 23 years. When I left the classroom last year, I was confident that I was a great teacher. I was an expert at my craft. I knew how to engage the students, make them laugh and have them leave my class smiling and enriched. I was amazing. I was still having students do poorly on my tests, however. I was still having students fail my class. I was still having students not show proficiency on the big state exams. Most students did well, but not enough of them. After attending the PLC institute, however, I found myself wishing I had a do-over. This was because I had spent the last 23 years focusing on the skill of teaching instead of the student learning. This was the way I had been taught. To be a better teacher, I had to improve my skills as a teacher. That’s what I did for 23 years. I worked on my craft. I learned how to deliver the content better. I learned how to engage the students better. I learned how to manage the students better, and after 23 years, I had finally figured it out. The problem was that there were still students not getting it. If they didn’t get it the first time, then it wasn’t my problem. I did an amazing job at delivering the content. If they didn’t get it, it was their fault. The PLC model changed my view of what makes a great teacher. Unfortunately, I won’t be able to put this into practice as a teacher anymore, but fortunately, I’ll be able to have some influence in the creation of a new system at the school where I’m on the administrative team. 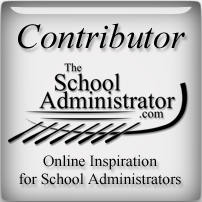 I intend on using this blog to document my journey as an administrator in a school using a PLC model. So Sam how does the PLC model work? There is no way to explain it all in one post, so I won’t even try. I’ll do my best to lay out the PLC model in the next few posts, but I’ll tell you right now, I won’t even come close to explaining it all. My goal will be to give you a taste of PLC’s so you will want to learn more. I’m confident you will want to learn more. 1. What is it we expect students to learn? To answer these questions, teachers work in collaborative teams based on subject area where they are focus on answering these critical questions. 1. The teachers meet to decide on what standards or topics the students need to learn for a particular time period (quarter, semester, etc.). 2. The teachers then create an common assessment where they come to a consensus as to what score the students will have to attain to demonstrate mastery. 3. The teachers then teach their lessons on those standards or topics. 4. The teachers then give the common assessment to the students. 5. The teachers meet again to go over the results of the assessment, comparing their results and finding where the students showed mastery and where they fell short. 6. Here is the best part: The teachers then analyze the data to determine how they can reach those students who didn’t attain mastery and enrich the students who did. What happens is that some teachers discover that they may be better at teaching one standard and weaker in another, so together, the team will share best practices with the final outcome of having a greater majority of students learning what they need to know. Teachers are no longer alone in their efforts to reach all students. They work together as a team to do this. My students become our students. Yes, there are some “but-what-ifs” connected to this, and I’ll do my best to answer these in future posts. I’m still not an expert in PLC’s either. What I do know is that I won’t go back to the traditional way of teaching – working alone in my own little classroom’s domain. Imagine how many more students I could have reached had I not been working alone all these years. There were expert teachers all around me, but there was never a system in place where I could draw from their expertise. I had to become an expert on my own through trial and error over 23 years of teaching. And who suffered through all those years of trial and error? I am thoroughly convinced that the future of education can be found in the PLC model, and I am committed to learning more about PLC’s and using this blog to share what I learn. I hope you can follow me on my journey. Here are a couple links where you can find more information on PLC’s. I invite any administrators out there who are using PLC’s in their schools to share their successes and challenges with me. What is Your School’s Mantra / Slogan? What Does Your School Offer?